Want a free night’s stay at a hotel? Well, with hotel loyalty programs, you could earn yourself a free stay! Whether it’s for a business trip or a weekend getaway with your family, if you travel frequently, then you should consider joining a hotel rewards program. With these loyalty programs, you earn points that you can redeem for things like free nights and room upgrades. It can reduce the cost of hotel stays, and give you a ton of extra bonuses. It’s like you get paid to travel! Below, we’ve outlined some of the best hotel loyalty rewards programs available. With some of them, you practically get paid to stay in hotels! So check them out if you travel often. Featuring more than 6,300 hotels worldwide, Choice Hotels is a hugely popular hotel chain. And, it has a pretty great rewards program available, called Choice Privileges. As a member, you earn 10 points each time you spend a dollar at one of the brand’s hotels. You also earn points for shopping. Plus when you book vacation rental stays, at a villa, home, cabin or condo, you earn 10 points for each dollar that you spend. You can learn more about earning points with the program here. There are no blackout dates for free nights, which is great! You need between 6,000 and 35,000 points to redeem free nights. According to the brand, point requirements at some hotels can vary, depending on the time of year. Visit the page above to join. Just select the location you want to stay at and your travel dates. Best Western offers more than 4,000 hotels and motels. And, the chain provides its customers with a loyalty program, called Best Western Rewards. Through this program, you earn points each time you book a stay at one of the brand’s hotels. Once you reach 10,000 points, you can redeem them for a free night. Like with many hotel loyalty programs, there are different membership tiers. And, depending on your membership level, you earn a certain number of points for each dollar that you spend. Per dollar spent, you get 10 points. You get access to a reservations line that’s exclusive to members. What’s great about this program is that your points never expire! Once you have booked 10 nights, had seven qualifying stays, or 10,000 points you become a Gold member. 10% bonus points each stay. The option to choose between a points or a thank you gift upon arrival. After booking 15 nights, getting 10 qualifying stays, or getting 15,000 points, you become a platinum member. 15% bonus points per stay. A 10% point discount on free night redemptions. Once you get 30 nights, 20 qualifying stays or 30,000 points, you reach the Diamond level. 30% bonus points per stay. After you have 50 nights, 40 qualifying stays or 50,000 points, you reach the Diamond Select membership tier. At this level, you get all of the benefits of the previous membership tiers, as well as 50% bonus points per stay. La Quinta Inns & Suites operates more than 800 hotels across the country. As a member of its loyalty program, La Quinta Returns, you earn points that you can later redeem for rewards. You earn 10 base points for each dollar that you spend at La Quinta hotels. Once you’ve earned enough points, you can redeem them for hotel stays and purchases. You need at least 6,000 points to earn a free night’s stay at the hotel. The ability to request a late check-out. Access to an exclusive line. What’s great about this program is that your points don’t expire. Your account just needs to remain active. As with many other loyalty programs from hotels, La Quinta Returns features a few different membership levels. You get all of the benefits we stated above, as well as a few extra bonuses. Here’s what you get at each level. Stay 10 nights, or book three stays within a calendar year and you reach the gold membership level. Extra points when you reach the Gold level. A 20% bonus on the base points you earn. Two certificates for a free room each year. Once you’ve booked 25 nights or had seven stays within a calendar year, you become an Elite member. Bonus points when you get to this level. A 30% bonus on any base points you accumulate. Access to a service line that’s only available to Elite members. Guaranteed availability when you reserve 48 hours before arrival. Better availability for free nights. Another rewards program to consider if you like the brand is Marriott Hotel Rewards. As a member of this program, you earn points when you stay at one of the brand’s 4,600 hotels. For each dollar that you spend, you earn five to ten points. There’s more information on how many points you can earn on this page. 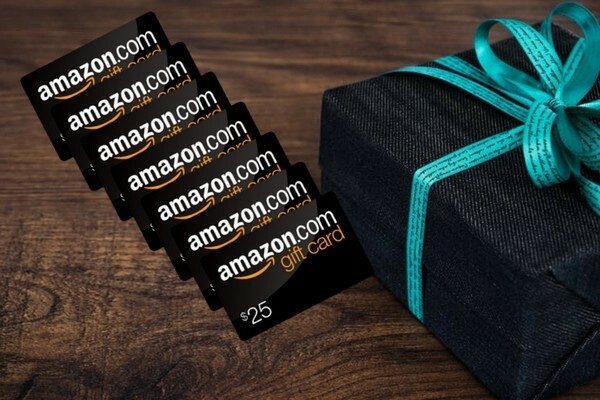 Gift cards for well-known brands. Merchandise, such as fashion items. You need at least 7,500 points to earn a free night at one of the brand’s hotels. Wyndham Rewards is another good loyalty program from the Wyndham Hotel Group. Again, this is a points-based loyalty program. So you accumulate points, as you spend money at one of the brand’s locations. Wyndham operates more than 8,000 hotels, meaning that you have a wide range of places to choose from. This is ideal as with many other chains, you have a limited choice of locations. When you stay at one of the brand’s hotels, you get 10 points per dollar that you spend or 1,000 points – whichever is more. And, if you’d prefer to earn airline miles instead of points, then you have the option to do so. Once you’ve earned 15,000 points you can get yourself a free night at one of the brand’s hotels. One of the best hotel loyalty programs out there is Starwood Preferred Guest. As part of the program, you earn points for staying at one of Starwood Hotels and Resort’s hotels. The brand owns more than 1,500 hotels and resorts, operating many popular chains, like St. Regis and Weston. Like with many of the programs on this list, Starwood Preferred Guest has different membership levels. Free internet in your room – this is always a plus when traveling! You can research local eateries and stuff to do from the comfort of your hotel room. Check-out later if you need too, on request. Access to the club and executive-level lounge privileges. When you check-in, you could get an enhanced room. And, of course, in addition to the above benefits, you also earn points that you can put towards free stuff. You earn more points as you reach each tier. Preferred: This is your starting level. At this tier, for each dollar that you spend, you get two Starpoints. Gold: If you have ten stays or 25 nights in a year, then you reach the Gold level. At this level, for each dollar that you spend, you earn three points. Platinum: You’ll become a Platinum member once you accumulate 25 stays or 50 nights within a year. As a Platinum member, for each dollar you spend, you earn three to four points. How many points you earn is dependent on the nights you select to stay. Access to events and experiences, like sports events and concerts. You need to have at least 20,000 Starpoints to redeem a free night. If you enjoy staying at Hyatt Hotels, then you should definitely check out the brand’s loyalty program – World of Hyatt. Stay at one of Hyatt’s 600 plus locations, and earn points for doing so. This is another generous program that gives you points that you can redeem for a plethora of freebies, including free nights. For each dollar that you spend, you get five base points. You can also choose to earn airline miles, with the hotel’s airline partners, rather than points. You will need to earn at least 5,000 points to earn a free night at one of the brand’s hotels. This is another hotel program that features different membership tiers. And, as with other programs, you earn more points, and get access to more benefits, as you move up these tiers. The tier you reach depends on how many times you’ve stayed at one of the brand’s hotels. When you first join the program, you are at this level. In addition to earning points for stays or airline miles, you can also get 500 bonus points when you rent a car. Plus, you get access to benefits, like free internet, and a members-only reservation line. Once you reach this tier, you get all of the benefits we mentioned above. But, you also have the ability to get 10% bonus points, as well as perks like a free bottle of water each day. Reach this level, and in addition to the perks above, you get 20% bonus points when choosing points, access to premium, free internet, and upgrades to the best rooms in the hotel – subject to availability of course. Plus, you also get four club lounge passes. The highest membership level is called Globalist. At this tier, you’ll get 30% bonus points. And, you can request an even later check-out, if required: you get the option of a 4 pm check out, rather than a 2 pm checkout. Plus, you also get suite upgrades and priority access to rooms when you check-in early. IHG operates over 5,000 hotels, with locations in more than 100 countries, including brands, like Crowne Plaza, Holiday Inn and Candlewood Suites. And, if you join the company’s loyalty program, IHG Rewards Club, then you could earn points that you can put towards free stuff. 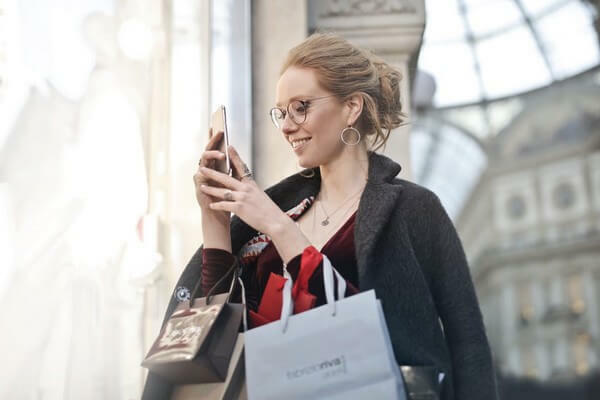 Points can be earned for staying at the brand’s locations, or for traveling, shopping, and dining with IHG’s partners. For each dollar that you spend, you can earn 5 to 10 points. Free stays at IHG hotels. To redeem a free night at one of the brand’s hotels, you’ll need to have at least 10,000 points. What’s great about this program is that it allows you to redeem your points for such a wide range of things. Earn points that you can redeem for free stuff with Club Carlson. This loyalty program is from Carlson Hotels – a company that features more than 1,000 hotels. With the program, for each dollar that you spend at one of the brand’s hotels, you earn 200 Gold Points. You can earn for staying at Carlson hotels, but also when you purchase food and beverages and use services from the hotel’s partners. Points can be redeemed for free nights. You need at least 9,000 points to earn a free night’s stay. Alternatively, you can redeem your points for airline miles. What’s great about this program is that it also gives you access to deals and offers –usually in the form of discounts. For example, at the time of writing, there’s an offer available that gives you 3,000 bonus points when you book and complete your first stay using the Club Carlson app. Do you like staying at Hilton Hotels? If so, then you should definitely join Hilton Honors – this is the brand’s loyalty program. The brand has over 5100 hotels and resorts on six continents! The brand includes properties such as Hilton, DoubleTree, Embassy Suites, Hampton, Homewood Suites and Waldorf Astoria. As a member, you earn points that you can redeem for a wide range of freebies. And who doesn’t want free stuff? You can earn points when you stay at Hilton hotels, but also when you travel, shop, dine or spend money with the brand’s partners. A later check-out if you require it. Again, this is another hotel loyalty program that has different membership levels. Silver: You earn a 15% bonus on your Hilton Honors Base Points. Once you’ve had four stays or 10 nights, you reach this membership level. Gold: Once you’ve had 20 stays or 40 nights, or have accumulated 75,000 base points, you reach the Gold tier. At this level, you get 25% bonus on your Hilton Honors Base Points. Diamond: Get a 50% bonus on all of the Hilton Honors Base Points that you earn. You’ll reach this level once you have accumulated 120,000 Hilton Honors Base Points. What’s great about the Hilton Honors Club is that it also offers a great selection of promotional deals that give you extra perks, like bonus points. For example, at the time of writing, you can get up to 2,000 bonus points on every stay until April 30, 2018. You need to have at least 5,000 points to get a free night. In December I received an unexpected surprise from Hilton Honors. They notified me that I had 3,000 unused points that would expire in January. That’s not enough points for a free stay, but I was able to get a free magazine subscription with them, so they won’t go to waste. There were about 50 magazines to choose from, I got 13 issues of People magazine with my points! No credit card needed! AccorHotels is a global hotel brand, which operates more than 3,400 hotels in over 92 countries! Access to exclusive sale rates, 48 hours before everyone else does. Faster online check-in and check-out. Free room upgrades to the best room in the next category up. AccorHotels is another hotel chain that offers different membership levels. You have to stay a certain number of nights, anywhere from 10 to 60 nights, or accumulate a certain number of points, anywhere between 2,000 to 14,000 points to qualify for the next tier. Each tier gives you access to even more benefits than the previous one, like access to an executive lounge, for example. You will need to have at least 2,000 points to earn a free night’s stay. The Leaders Club is a loyalty program from Leading Hotels of the World Group. This company owns over 375 luxury hotels and resorts, in more than 70 countries – so there are plenty of locations to choose from. As a member of the program, you get free nights the more you stay at the brand’s hotels. Every five stays, you get a free night at a Leaders Club hotel. What’s great about the program is that your stay credits do not expire, as long as your account remains active. The option to check-in early, if you require it. A late check-out option, on request. Access to special room rates. Free breakfast – this is a continental breakfast, for two, which you can get every day! This program is not free like the others – it costs $150 per year. Preferred Hotels & Resorts features over 650 hotels in 85 countries – so there are plenty of locations to choose from! The company also offers a pretty great rewards program, called iPrefer Hotel Rewards. Like with other programs on this list, iPrefer Hotel Rewards gives you points that you can exchange for free nights. Access to exclusive member rates. Insider: You are at this level when you have 0 to 50,000 points. Elite: Get to this level when you reach 50,000 points. For each dollar that you spend at Preferred Hotels, you earn 10 to 15 points. You earn 10 points at the Insider level and 15 points for the Elite level. Once you have earned enough points, you get a reward certificate. You can then redeem this certificate for money that you can spend at one of the brand’s hotels. Do you like staying at Fairmont hotels? If so, you should check out the Fairmont President’s Club. 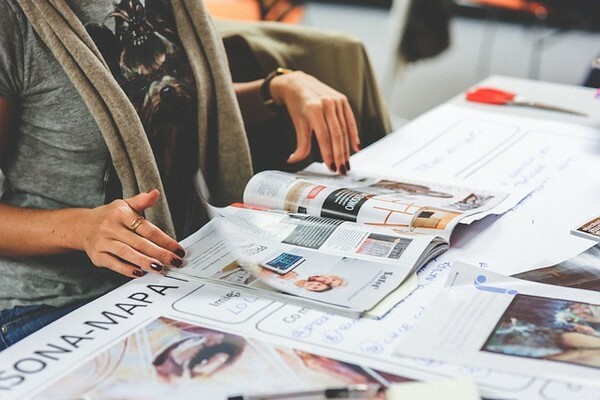 It’s a loyalty program from the brand that gives you a good selection of benefits. Club: On your next stay after enrollment, you reach this level. Premier: If you have 5 stays or 10 room nights within a year, you reach this tier. Platinum: Have 10 stays or 30 room nights within a year and earn Platinum status. Each level comes with more benefits than the previous one. Free room and suite upgrades. Omni Hotels & Resorts is a luxury hotel brand that features 60 locations across North and South America. The company offers a pretty good rewards program, called Omni Select Guest. When you first join the program, you start at the Gold Level. Then, as you continue to stay at the brand’s hotels, you move up to Platinum and then Black. The opportunity to earn free nights. Access to an exclusive reservations line. Bottled water when you arrive. Weekday newspaper of your choice. In addition to free stuff, you also experience other benefits, like customized room preferences, and evening housekeeping service and turndown if you request it. Once you stay 10 qualifying nights in a year, you reach the Select Guest Platinum Level. Double night credits you can put toward free nights. Free bottled water each night. A later check-out, if you request it – up to 3 p.m.
After you stay 30 qualifying nights within a year, you reach the Black Level. A free beverage of your choice – alcoholic or non-alcoholic. Early check in – 9 a.m.
Guaranteed room availability up to 4 p.m.
Suite upgrade on free nights. Stay 20 qualifying nights and earn a free night at any hotel or resort. In addition to getting the benefits of the Select Rewards program, Select Guest members can also enjoy the benefits of the Global Hotel Alliance Discover loyalty program. The Global Hotel Alliance includes more than 500 hotels across 76 countries – we discuss this program more below. You only get access to membership benefits and move up tiers with qualifying stays. A qualifying stay is one that you made a reservation for directly with the hotel, online or on the phone. Kimpton Hotels is a chain of boutique hotels and restaurants. It operates more than 65 hotels. It used to have a hotel rewards program called Kimpton Karma Rewards. But now, it’s part of the IHG Rewards Club. We talked about that rewards program earlier. Now, each time you stay at one of Kimpton Hotel’s locations, you get access to all of the benefits of the IHG Rewards Club. Be sure to check out the section on that IHG rewards if you like staying at Kimpton Hotels. Dubai based luxury hotel chain Jumeirah is another brand offering a loyalty program – called Jumeriah Sirius. As a member of this program, you get access to tons of benefits. When you first join, this is the membership level that you will be at. 10% discount on selected Jumeirah spas and leisure facilities. 10% discount on admission to Wild Wadi Waterpark in Dubai. Free continental breakfast for two. Late check-out – 2 p.m.
Free transfer in the Maldives. 15% discount on selected Jumeriah spas and leisure facilities. 15% off admission to Wild Wadi Waterpark in Dubai for you and four other guests. 10% discount at Jumeriah restaurants. Late check-out – up to 4 p.m.
20% off Jumeirah spas and leisure facilities. 25% discount on admission to Wild Wadi Waterpark in Dubai for you and four other guests. Access to the Club Executive Lounge for you and one guest. Access to Burj Al Arab Jumeirah for you and three guests. You move up tiers by earning points. You collect two-tier points for every $1 that you spend. You also earn two Jumeriah Sirius points for each dollar that you spend, which you can redeem for rewards. Once you become a Gold or Silver member, you get 50% Bonus Jumeirah Sirius Points for every $1 that you spend at the brand’s locations. You can view the exchange offers that you can redeem your points for and claim e-certificates by logging into your Jumeirah Sirius Account. What’s great about this program is that your points never expire – as long as you have collected points in the previous 12 months. The points required for a free night’s stay vary quite significantly from location to location. For example, a free night at the Jumeirah Carlton Tower requires 17,500 points, whereas a free night at Jumeirah Frankfurt requires 8,300 points. So, the above hotel rewards programs are great – but what if you don’t like staying at big hotels? If you’re the type of person who prefers to stay at smaller hotels, then you might want to check out one of the programs below. These are third-party programs that reward you when you stay at pretty much any hotel or specific chains. You can earn free stays and much more! Expedia+ is a great rewards program that gives you access to a multitude of benefits, each time you travel. With this program, as you travel, you increase your membership level and open up even more benefits. Earn 2 points for each dollar that you spend. Earn 1 point for every $5 that you spend on flights and airline frequent flyer miles. When you redeem a VIP access hotel, you get twice the value for your points. You can use your points to book award travel for other people. Access to complimentary amenities – like spa discounts and drinks. You reach +silver status after you’ve spent $5,000 on eligible bookings or have stayed 7 qualifying nights. 10% bonus points on eligible bookings. 250 bonus points when you make a VIP Access hotel booking. Access to exclusive travel offers. Access to exclusive concierge benefits in some destinations. You get +gold status once you have spent $10,000 on eligible bookings or have stayed 15 qualifying nights. Access to dedicated customer service agents. Flexible check-in and check-out at VIP Access hotels. 30% bonus points on eligible bookings. Stay ten nights at eligible hotels and get one free night that you can redeem at more than 275,000 hotels worldwide! Lower rates that are only available to members. Another really great program on our list is the Global Hotel Alliance’s Discovery program. With this one, you move up membership levels, the more you travel. This is the level you’re at when you first join. Access to exclusive members-only offers. Guaranteed room availability 48 hours before arrival. A room upgrade to the next category during check-in. Late check out – up to 3 p.m.
After you have stayed 30 nights during the calendar year, you reach the Black membership level. A late check-out – up to 6 p.m.
An early check-in – up to 9 a.m.
Guaranteed room availability 24 hours before arrival. Just because you have the money to stay at luxury hotels, doesn’t mean you’d want to leave free money on the table, right? 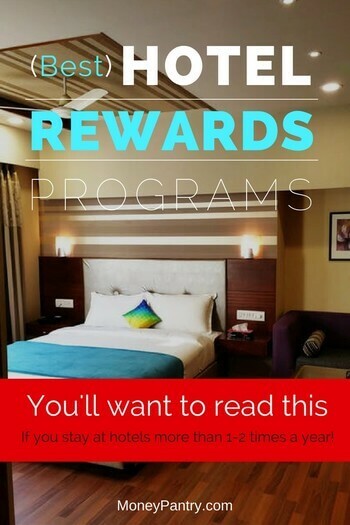 If you are one of the fortunate ones amongst us who can afford to stay at the high end and fancy hotels and resorts, be sure to join these reward programs. Hotel reward programs are a great way to earn freebies at your favorite hotel. But, credit cards are also a good option. Some credit cards give you points that you can redeem for free nights at hotels and money off flights. Starwood Preferred Guest Credit Card from American Express. As you can see, rewards programs from hotels can really help you to get more out of your money when you travel. Whether it’s room upgrades, complimentary in-room Wi-Fi or free stays, there are so many benefits offered by these programs that you don’t want to miss out on. So, if you often stay at hotels, then consider trying out one of the above programs – all but one of them are totally free to join!